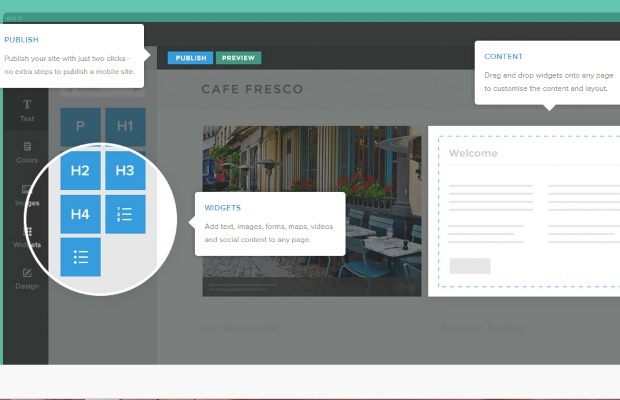 BaseKit Website Builder is a sharp and sophisticated website builder with easy to manage functionality. Fun to use, the drag and drop text and image tools make starting your website seamless, and themes and color options are simple to browse through. Once built, use social media integration or ecommerce options to help boost your customer base. No added steps are necessary to view your site for mobile or tablet usage, making BaseKit an excellent choice for today’s user. BaseKit offers numerous website creation and customization features to go along with their wide selection of templates. For text and images, enjoy the ability to drag and drop, along with the option to create a slide show. It's also possible to add video by embedding code. 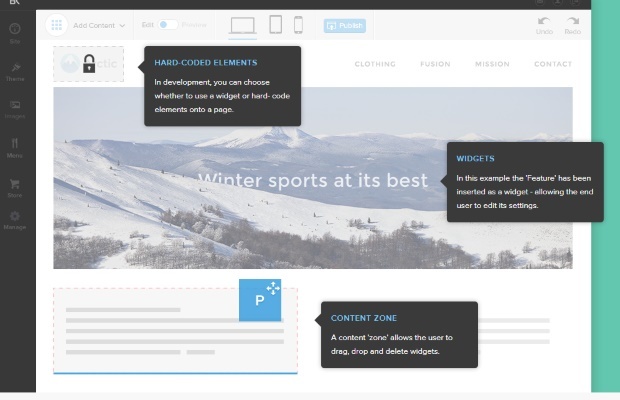 Essential for today’s users, the editor is completely responsive, and you can switch to mobile friendly or optimized for hand held devices with one button, eliminating the need to build separate websites. Other web building features include drag and drop Google Maps and forms, custom layouts and template widgets, full social media integration, and on the Business premium package, ecommerce functions such as integration with PayPal. Building a BaseKit website is a smooth and enjoyable experience, with its intuitive drag and drop design, and over 1000 gorgeous and industry specific stock images to choose from, without worrying about copyright infringement. Available in over 16 languages, it is a great choice for IT companies with staff internationally. 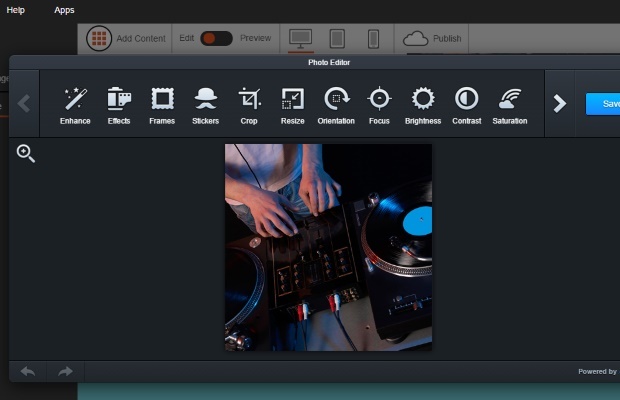 Uniquely, within the builder itself is a powerful image editor, which allows you to format images exactly as you like without the need for a clumsy third party solution. Basic membership is free to all users, and comes with full use of the website building tools, to choose between 5 templates and make a webpage of up to 100MB. For $100 a year you can use 10 pages, up to 250MB of storage, and choose between 15 templates. You will also receive a free stock image. Upgrade to the Business package and receive unlimited storage and pages on your website, and include PayPal functionality, 3 stock images free of charge, and the choice of 42 beautifully designed templates. Customer support is not extensive, with the main method of communication being via email. FAQ and tutorial videos are available for many of the more common queries, and the website allows you to use your Facebook, Twitter or Google+ accounts to sign into their forum and troubleshoot with other users. The website does not list a phone number or live chat option available for the free basic package.